America's leading firearms manufacturer brings you the high quality, rugged and reliable rifle that you demand to stand up to the most extreme field conditions you can throw at it. The Ruger M77 Hawkeye Compact bolt-action rifles are designed to be instant classics with a quick swing in tight cover. Offering shooters a host of functional enhancements like slim ergonomics, classic checkering on the Black Laminate stock and Ruger's smooth crisp LC6 trigger this rifle is a pleasure to shoot. 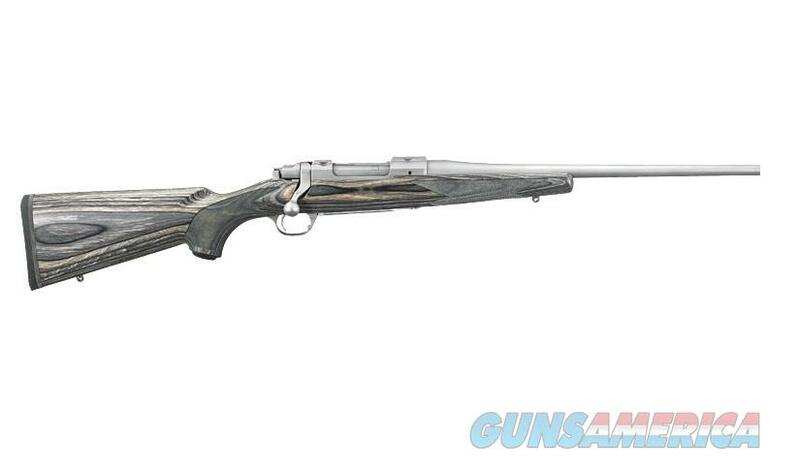 Additionally these bolt-action rifles contain all the value-added characteristics of yesterday's Ruger rifles. A positive floor plate latch, integral Ruger scope mounts machined into the receiver, three-position safety, hammer-forged barrels, and of course, they're made in America!